ALFC offers Great Fly Rod selection at a great price. We carry a wide array of G Loomis, Redington, Fenwick, and Sage Fly rods. And, with every available model of fly rod from G. Loomis how can you go wrong. From the beginner level of the Eastfork to the more sensitive and more advanced rods of the G. Loomis NRX rods. When sensitivity counts, you need to look no further than American Legacy Fishing Company. We offer FREE same-day shipping for USA domestic orders over$200, and International orders over $500. And we ship anywhere in the world. Not sure what you need? 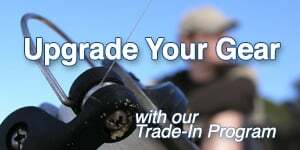 feel free to contact us at [email protected] or +1 812-402-6350, and one of our pro-staff will be glad to assist and make sure you get the rod you need.